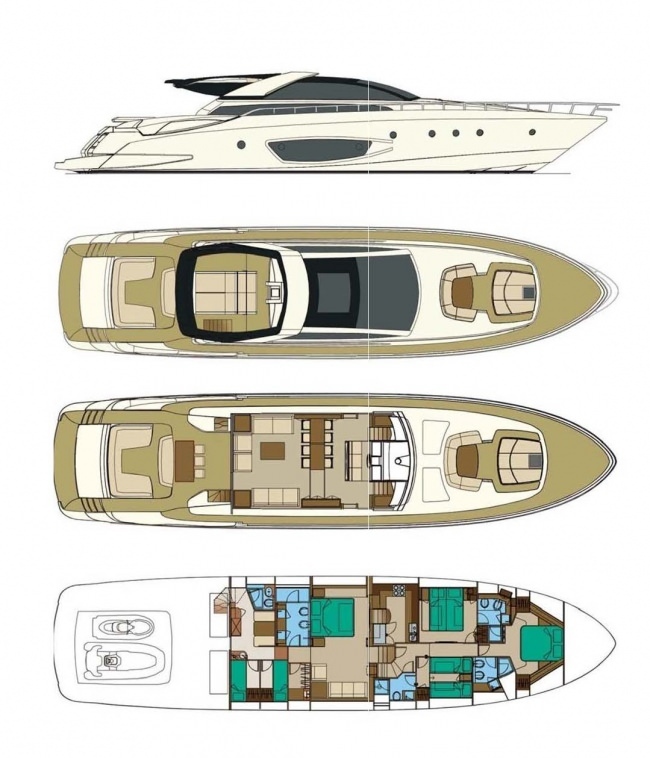 The yacht accommodates a total of 8 guests in 4 cabins. Full beam Master stateroom with large seating area, vanity unit, walk-in wardrobe with small cabinet, electronic safe and shelves. Very Spacious ensuite shower room with double sinks and walk in, sit down shower. Full beam VIP cagbin, with ensuite shower room, single sink unit and sit down shower. Double/twin guest cabin, large double bed and convert to 2 singles - ensuite shower room with single sink unit. Twin bunk cabin with 2 single beds - ensuite shower room with double access as this can also be used as the day head. Shower with sit down seat. After 7 extremely successful seasons, Wayne is on board for his eight season in 2019, bringing many years experience as a captain to M/Y RHINO. He has previously worked on numerous vessels such as M/Y Celtic Dawn and M/Y Gwylan. He is very experienced in all aspects of running a yacht and takes this easily in his stride. An excellent motivator, and extremely professional, Wayne is a great character and a hands-on captain. Wayne is a keen sportsman partaking in many but excelling in none! Mountain and water based passions brought Wayne to the Cote d’Azur originally and his knowledge of the region shows in his ability to surpass all your yacht charter expectations. 46 LCD TV MIRRORED SURROUND/COVER. BOSE HUB CONTOLLING 4 STATIONS. ALL UNITS CONTROLLED BY BOSE PERSONNEL MUSIC CENTRE II, RADIO COMMANDS. SOUND OUTPUT PROVIDED BY BOSE 131 MARINE SPEAKER SYSTEMS.